Recover deleted folders and files with the backup and recovery system that Vodien has. Continue reading this article for more information. Vodien Data Backup is available for all WEB HOSTING and BUSINESS HOSTING plans which is powered by JetBackup and will automatically generate backups on a daily or weekly basis. For all Web Hosting packages, you may avail the Premium Data Backup Addon. The premium data backup addon option includes one free restoration request per month, and will provide up to last 7 days – 7 copies of backup. For additional restoration request, it will be chargeable at S$25 per incident. The mentioned restoration request will be done via Jetbackup. For Reinstatement and Restoration for Terminated Accounts: Clients have the responsibility to ensure that their hosting services are duly paid. Each request will be chargeable up to S$150. This though is subjected to the availability of the backup copies. Our technical engineers will need to investigate before we can confirm that we can provide the backup copies. NOTE: Disaster recovery services are purely administered in cases of complete server or hardware failure to restore all affected VPS accounts. Dedicated Servers – Please get in touch with our SuperSupport Staff for a quote. Our backup includes your complete site, website files, emails, databases, and any other configuration at the point when the backup operation is taken. Backups dated older than the retention date will be automatically overwritten with new backups. To obtain a copy of your backup, you may use the JetBackup or open a support ticket to us requesting for your backup. All customers are still encouraged to perform their own backups regularly specially before making any major changes to their websites. Kindly contact our Support Team for the most recent backup policies. The information provided above are guidelines only. 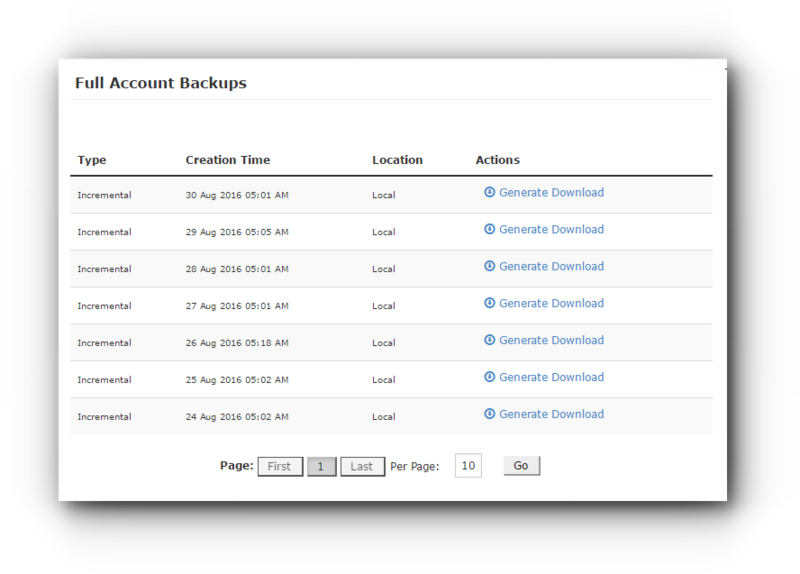 You may contact our Sales Team for the subscription of the Premium Backup Addon Service. Additional subscription can be made for backup service, kindly contact our sales team on this.